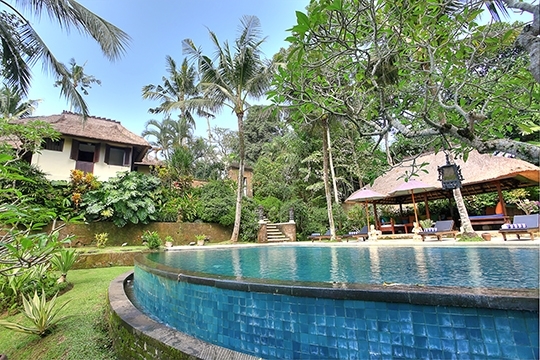 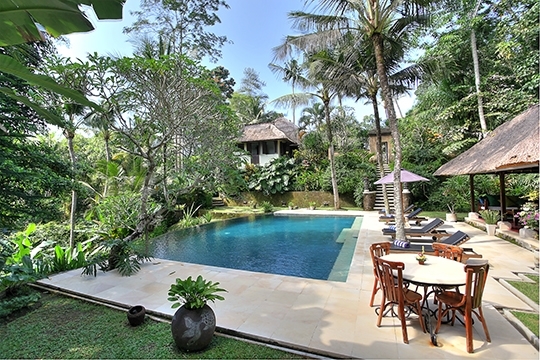 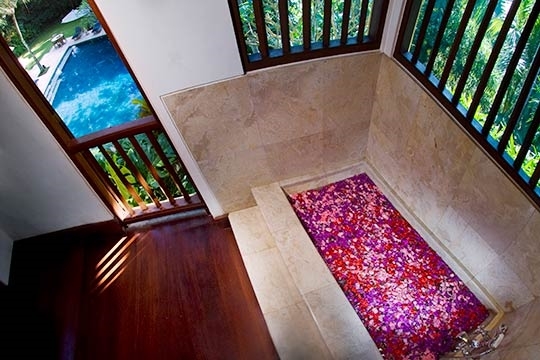 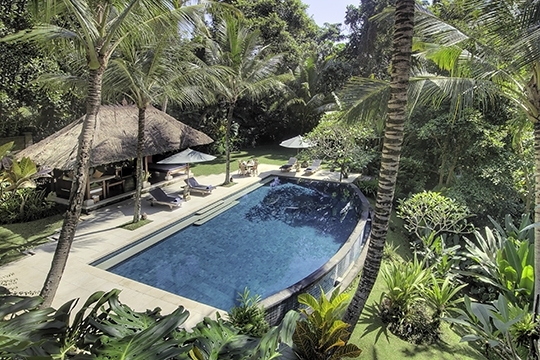 Villa Alamanda - an elite haven | Pictures, Reviews, Availability | Bali Villas: Private and Luxury Vacation Rentals in Bali. 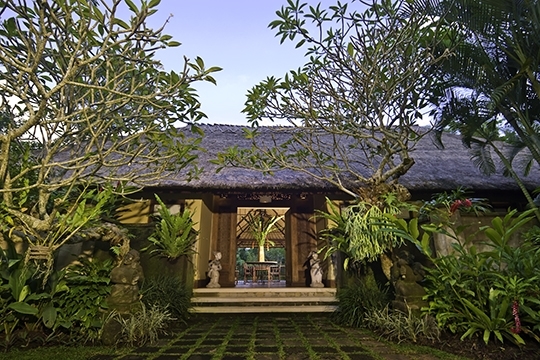 Perched high on a river gorge near Bali's cultural centre, Ubud, Villa Alamanda's graceful architecture harmonises with its dramatic tropical environment. 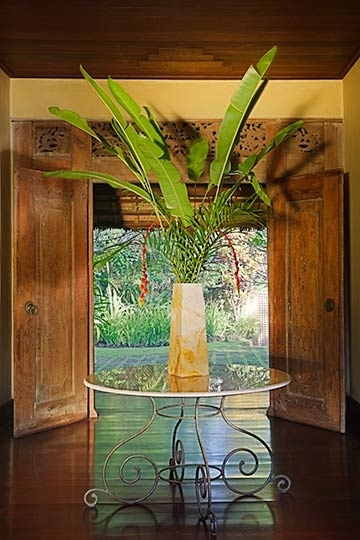 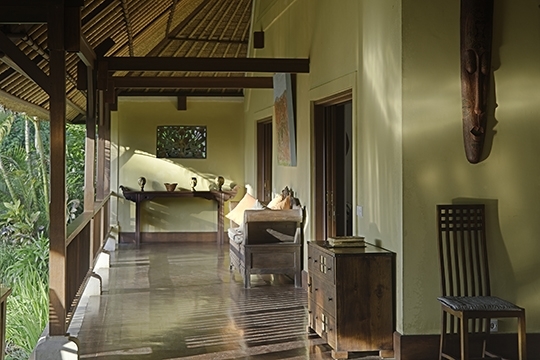 Inside, elegant teak furniture is complemented by clean lines, natural colours and local artwork. 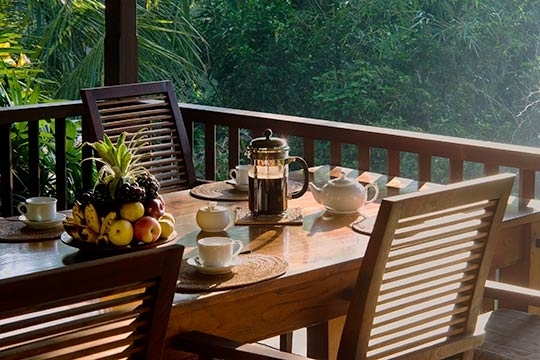 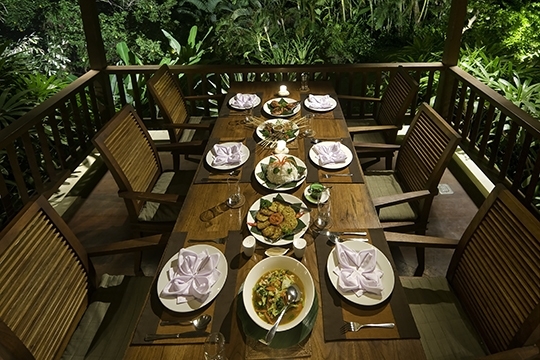 A sizeable, open-air lounge and dining terrace overhangs the jungle, creating interaction with the stunning scenery. 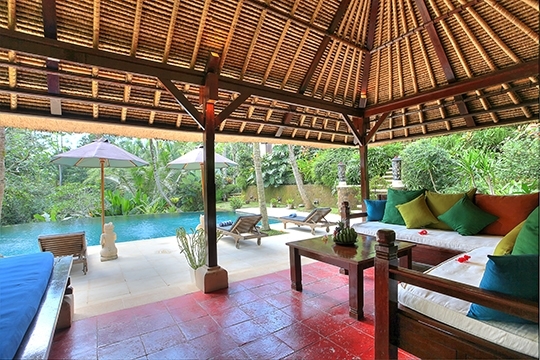 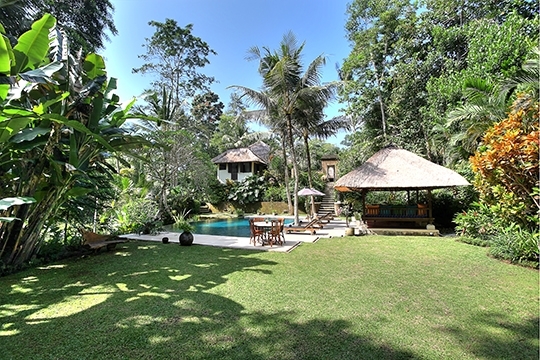 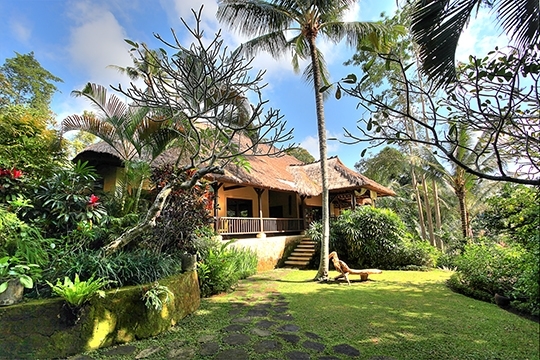 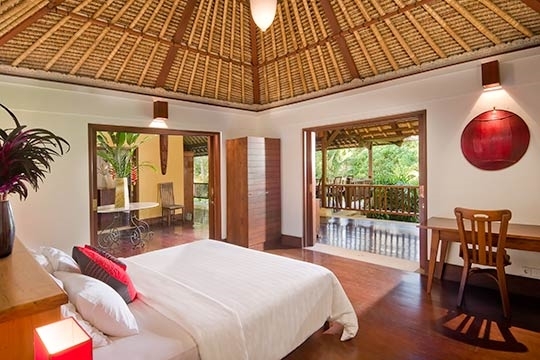 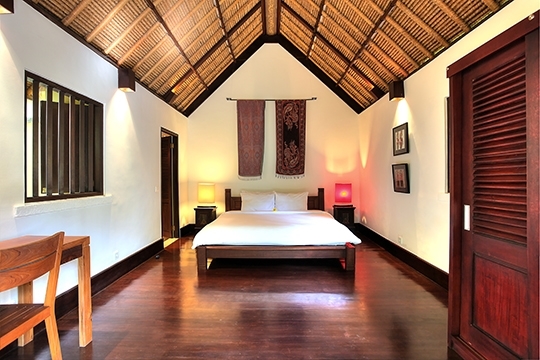 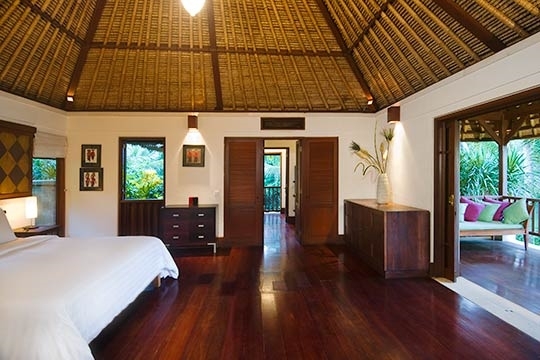 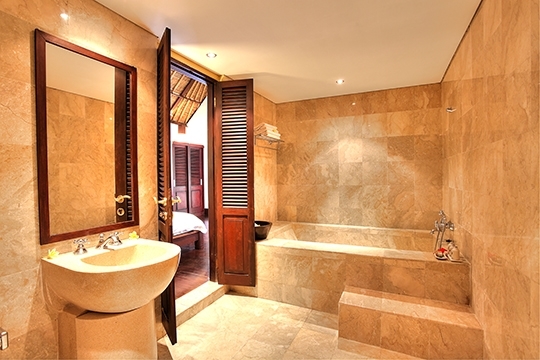 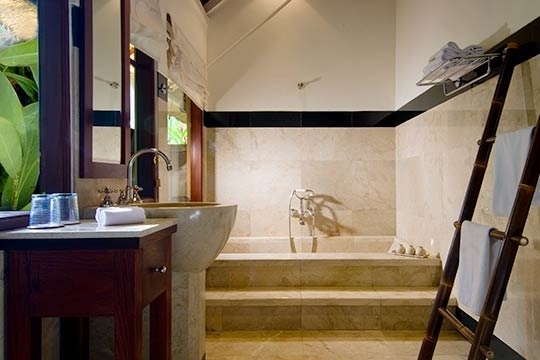 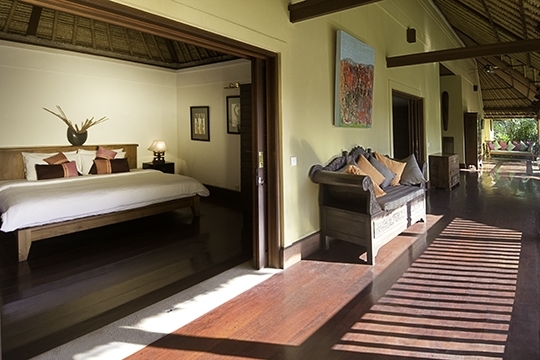 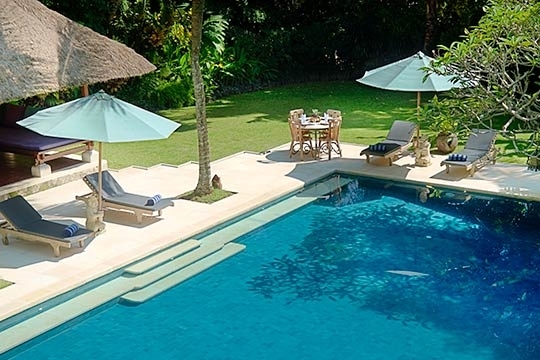 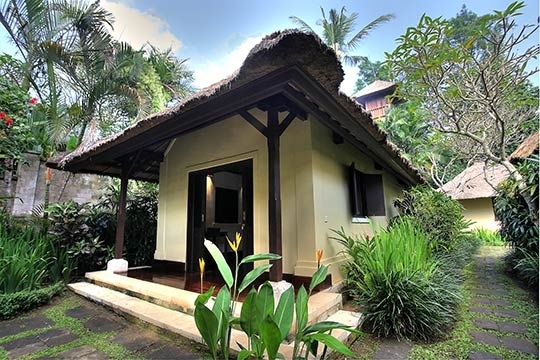 This classic Bali villa sleeps up to eight people in four stylish ensuite bedrooms. 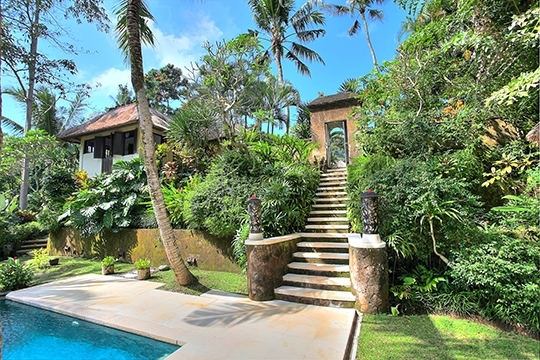 Steps from the villa's living area lead down into the garden where the swimming pool and bale provide the perfect spots for relaxation. 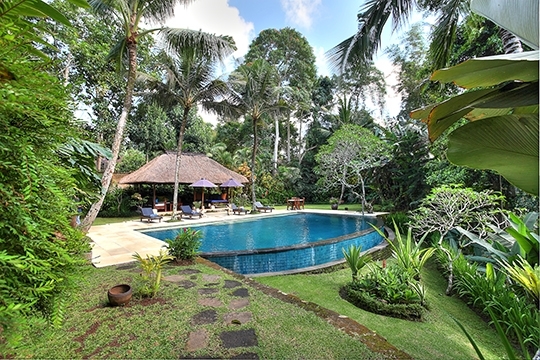 The garden is large enough for children to play and for entertaining.